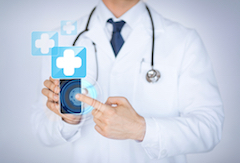 Recent reports indicate that several pharmaceutical companies plan to create internal digital health divisions that will drive the development of smartphone apps and other tools to go along with their drugs. Pharmaceutical companies will be establishing these divisions next year. The aim, in general, is to advance the development of digital health tools like smartphone apps to go along with medications being prescribed to patients. It’s expected that these digital health divisions will informally collaborate as pharmaceutical recognize the efforts their peers are making in the area. There are major costs associated with medication nonadherence and part of the motivation is to capture some of the gains realized by improved compliance with prescribed therapies. For clinicians and patients, it could mean that apps paired with medications could become far more common. For example, IOS apps directed at patients with information on the drug, important interactions, diet instructions, and more. For high risk drugs in particular, having these types of apps can be useful in helping reinforce the in-person education given when prescribing the drug. For drugs that are targeted at chronic disease or behavior change, there could be significant opportunity to pair apps and digital health tools with the drug to improve compliance. Many clinicians will be familiar with the smoking cessation support program that came along with Chantix when it was released. Similarly, mood tracking apps could be paired with anti-depressants or a carb counting app for a diabetes medication. One limitation is that we’re unlikely to see these types of tools come along for lower cost generic drugs unless developed by third parties. Also, I suspect that the apps will collect personal information to further drive some of the highly targeted advertising we’ve discussed previously. That being said, it will be interesting to see how these tools evolve and whether they do in fact come to be a standard part of the prescription of the medications we give our patients. The healthcare industry is undergoing a major transformation as healthcare reform encourages consumers to play a far more active decision-making role. Yet despite this traditionally business-to-business industry moving quickly to a business-to-consumer model, companies have been slow to join the digital movement. Unlike successful B2C companies in other industries—which offer mobile solutions, provide personalized product recommendations, and empower customer-service agents with a 360-degree view of the customer—most healthcare providers and payors are lagging, as are pharmaceutical companies and medical-device manufacturers. That’s problematic when customers are increasingly expecting a better, more personalized experience from companies taking advantage of the host of digital tools and analytics at their disposal. Healthcare is not immune to this reality. The sudden increase in the individual market through the creation of exchanges and growth in Medicare Advantage has forced US payors to adopt some of these digital tools, while the growing cost burden for healthcare absorbed by consumers inspires many would-be patients to jump on the web or social networks to conduct research. So why, with a few exceptions, are pharmaceutical and device companies taking a “wait and watch” approach? Government agencies, payors, disease advocates, and disrupters are launching digital solutions that threaten product sales and take advantage of the opportunity to respond to patient needs. This role should be a natural extension for pharmaceutical and medical-device companies, and we have identified five compelling reasons they must get moving before it is too late. As with many other industries, consumers in the healthcare sector are becoming more informed, empowered, and demanding. 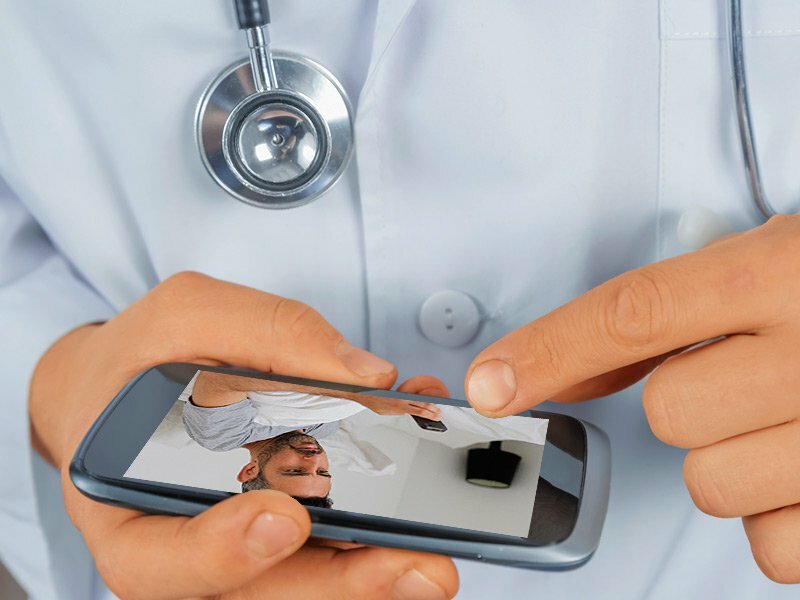 The vast majority of connected patients are using an array of digital tools to take control of their health and the healthcare services they access and buy: more than 70 percent of patients who are online in the United States use the Internet to find healthcare information, and more than 40 percent of people who diagnosed their condition through online research had it confirmed by a physician. Patients arm themselves with information about product safety and efficacy gleaned from websites and online communities such as PatientsLikeMe, pore over cost and quality indicators from healthcare start-ups such as Castlight Health or HealthGrades, and comparison shop using information synthesized by their insurance providers. As patient and consumer demand for information grows, the government is beginning to supply healthcare data either directly, through the release of information, or indirectly, by providing incentives for collection and aggregation of relevant clinical data. A recent McKinsey Global Institute report found that healthcare is one of seven sectors that could generate billions of dollars of value per year as companies use open data—machine-readable information made available to others, often free of charge—to develop new products and improve the efficiency and effectiveness of operations. Government health agencies, from national health services in Asia and Europe to government organizations in the United States, are already harnessing the power of big data to figure out what’s working and what isn’t and encouraging others to do the same. The Health Data Initiative launched in 2010 by the US Department of Health & Human Services (HHS) was one of the first and is still among the most prominent examples. In June 2011, former HHS chief technology officer Todd Park described an ambition to make HHS the “NOAA of health data.” and the agency’s catalog continues to expand. The difference in emphasis by certain stakeholders creates pressure on pharmaceutical companies to respond. As data integration and analyses take precedence over data ownership or sponsorship, competitive advantage will rest with those organizations that innovatively use multiple data sources to uncover true insights. Meeting long-standing requirements regarding clinical-trial data continues to be necessary for approval, but it is no longer enough for other stakeholders when more and more targeted and timely data are available. Consider this: Thomson Reuters found that the number of observational research studies tripled from roughly 80,000 between 1990 to 2000 to more than 263,000 in the following decade from 2001 through 2011. Pharmaceutical companies can’t discount observational data because such data already affect product pricing and reimbursement levels. European markets are using real-world evidence to limit reimbursements on new drugs to the competitor’s level until real-world evidence is provided to demonstrate that the new therapy is better. The International Society for Pharmacoeconomics and Outcomes Research reported in 2007 that countries were using reference pricing for new treatments assessed to add little incremental medical value, and real-world data was part of that effectiveness assessment. In short, pharmaceutical companies need a data strategy that reflects the shift in how data are shared and analyzed, as well as a plan to manage all types of data that affect product sales, pricing, and reimbursement. Technology cycles are getting shorter and the cost of experimentation cheaper. The run-up to the passage of the Health Information Technology for Economic and Clinical Health Act in 2009 and Affordable Care Act in 2010 saw significant investment in companies developing systems, solutions, or applications to support electronic health records. From 2010 to the end of 2013, seed and Series A–stage healthcare investments continued to grow, multiplying fivefold in the United States in that time. In the first half of 2014, investors spent $2.3 billion, with more than 140 digital companies each raising more than $2 million, as the investment focus shifted from providers of electronic-health-records solutions to developers of consumer-oriented applications, makers of wearable health technology, and health data and analytics. 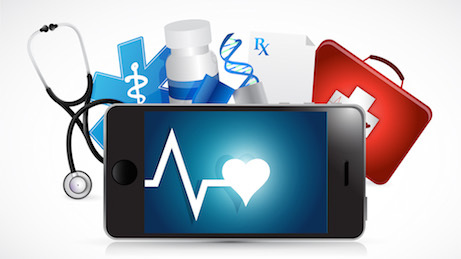 There are thousands of healthcare-related apps available from the US Apple App Store, but only a fraction are patient facing with genuine health content, according to a new study from the IMS Institute for Healthcare Informatics. The recent announcement of the Apple Watch and the company’s release of its HealthKit developer tool are likely to increase the variety of functions and number of health-related apps that are available. Google Glass is the most high-profile wearable being tested for numerous healthcare applications—for example, surgeons are using it to facilitate and record operations, office physicians are reducing interruptions in patient engagement by retrieving and sending information to electronic medical records through the device, and emergency-medicine physicians are getting specialist consults by transmitting video or images taken by Glass. Beyond Google, Intel acquired BASIS Science, MC10 raised a $41.9 million investment, and Proteus raised $183.4 million to develop its line of sensor-based products. Services or applications that facilitate consumer communication with doctors such as Doctor on Demand and HealthTap+ also secured financing. Nearly 50 million Americans have no health insurance, and millions more have limited coverage. Many Americans just can't afford health care, and, if they can, they don't have the money to buy their medicines. In 2008, PAPs helped over 8 million people. The programs filled prescriptions with a total wholesale value of over $8 billion. Although no two programs are exactly the same, most require that the applicant complete an application form. The amount of information required varies. Some programs require detailed medical and financial information, others very little. All require a doctor's signature. Certain programs require the doctor complete a portion of the form while others only need a signed prescription. Most send the medicines to the doctor's office for distribution to the patients, while others send the medicine to a pharmacy. A few send a certificate to the patient to give to the pharmacist. Some patients need drugs for a long time. Most, but not all programs that cover medicines used to treat chronic diseases offer refills. The pharmaceutical companies decide if they will have a PAP and, if they do, which of their medicines will be available through the program. Some include many or all of the medicines they manufacture while others include only a few. The reasons for these decisions are not something they reveal. There are a few programs that sell generic medications at a fixed price - usually $20 for a three-month supply. These programs are adding more drugs all the time. Sometimes a medicine or a certain dosage of that medicine will be on a program, then off, and then back on again. Or one dose of the medicine will be on the program but a different dose won't be. Your doctor is not the best source of information on PAPs. Surprisingly, many doctors don't even know PAPs exist. The same applies for pharmacists. Many social workers know about the programs. Books in the library or bookstore on PAPs are probably outdated before they are printed. The best place to learn about PAPs is the Internet. There are a number of sites that have information on these programs. Many pharmaceutical companies have information on their patient assistant programs on their websites. Unfortunately, it's often difficult to find the page that describes their PAP. There are two types of websites with information on patient assistance programs. Three of these sites list information on patient assistance programs - NeedyMeds (www.needymeds.org), RxAssist (www.rxassist.org), and Partnership for Prescription Assistance (www.pparx.org). There is no charge to use the information. These sites don't have a program of their own nor do they help people get their medicines. NeedyMeds is a non-profit funded by donations, sales of software for managing PAPs, and other sources. The Pharmaceutical Research and Manufacturers of America (PhRMA), an association and lobbying group whose members include many of the larger pharmaceutical manufacturers, runs HelpingPatients.org, which has information on PhRMA members programs. Then there are a number of sites that charge people to learn about patient assistance programs and complete the application forms. The charges vary, as does the quality of their services. Some offer a money-back guarantee if they can't get your medicines. Most PAP sites contain similar information. They differ in how they organize the material, the ease in accessing the information, and the timeliness of their data. To use the NeedyMeds site you begin with the name of your medicine. There are two ways you can check to see if your medicines are available in a patient assistance program. One is to click on the drug list. This brings up an alphabetical list of all the drugs currently on PAPs. Find the medicine you take and clink on its name. This will bring up the program page. On the program page, you will learn about the specifics of the PAP - the qualification guidelines, the application process, the information you need to supply, what your doctor must complete, etc. In addition, you will learn if there's a downloadable application on the website or if you must get an application from the company. (Some companies accept copies of their application form while others require you complete an original.) If you know the medicine's manufacturer, you can click on the programs list. From there, you can click on the program you want to learn more about. That should bring up the information you need. Once you have acquired the information, it's up to you to complete the applications, get the necessary signatures, and send the form to the program. Make sure you have completed everything on the form that you can. Not only should you complete the applicant's section, but anything else you can fill in. This may include the physician's name and address, phone number, etc. Bring all the information your doctor may need. For example, some programs require proof of income. If so, attach whatever documents are required. Bring an addressed envelope with the appropriate postage. Don't expect your doctor to complete the form immediately. A busy doctor may not have time to read the form while you are in the office. If you encounter resistance, tell your doctor that without his/her help, you won't be able to obtain the medicines he/she is prescribing. Be blunt. If all else fails, you may need to find a physician more sympathetic to your plight and willing to help you. Many people without a computer can still use the information available on these websites. Nearly everyone knows someone with a computer - a family member, a neighbor, or a friend. Most public libraries have computers for public use and assistance for those not familiar with their use. Patient assistance programs may not be the best solution to the problem of inability to pay for medication, but they can help many people. Millions of people use PAPs to get the medicines they need but can't afford. If you can't afford your medicines, a patient assistance program may be able to help you.